Inside: We have 7 very simple steps you can follow to increase and maintain your credit score. You want to get fit, lose the flab and look like those fitspo models by this time next month. No problem, right? Wrong. Just like there is no real get-fit-quick plan out there, there also is no magic formula for raising your credit scores overnight. But, like fitness, the worse off you start, the easier it is to see quick(er) gains early on and then you can slowly improve and maintain afterwards. The first step in building your credit is to get a copy of your credit report from AnnualCreditReport.com. You are allowed one free credit report each year from each of the three credit bureaus, so order from a different bureau every 4 months. Hunker down for a bit and check the credit report for errors once you get it. You can dispute the errors online with the credit reporting agency (Equifax, TransUnion and Experian) if you find any mistakes. We’ve seen errors on reports such as accounts that were closed years ago still listed as being open/active, incorrect dates for living at a certain address, and errors in the reported credit limits. You might notice collections that should have been removed or resolved still showing. Getting those errors corrected on your report could give a big boost to your credit score. If you are behind on payments or have accounts that have gone to collections, you will need to catch-up and pay off these accounts. You can also ask the lender to confirm, in writing, that they will mark your account as “paid as agreed” or to erase the debt once you have paid the remaining balance. Make sure that if you do this, you get the confirmation in writing before making additional payments. Otherwise, the lender is under no obligation to make the change to the way your account is reported to the credit bureaus. One way to build up your credit is to use your credit card to make small monthly payments. Maybe you could have your Netflix subscription charged to your credit card and pay that in full each month. Or what about a monthly pre-paid cell phone charge? Then pay that card in-full each month. As far as number of credit cards, you probably only want or need one or two cards. It will actually damage your credit score to go hunting around and open up a bunch of new accounts. Perhaps the most important part of building your credit score is to pay on time all the time. Set a reminder to pay the bill if you must. Even better, pay the card in full each time. Yes, this means you can build your credit score by making those student loan payments on time. Late payments will stay on your credit report for seven years and the more recent the late payments, the more damage it does to your score. Skipped/missed payments can do even worse damage to your score. This is one of the best ways to improve your credit. Yup, lenders will think you are a much better risk and good user of credit if you are using far less than what is available. Aim for using no more than 30% of your available credit. So that $1000 credit limit? Ensure your balance doesn’t go over $300 for the month. If you make a large purchase, make a payment right away to help lower that ratio. Have you been making on-time payments, have a job, but have been struggling with keeping that utilization ratio under 30%? Then it is time to ask for your credit limit to be increased. You can call your credit card company and ask for a credit increase. If they grant it, you do not want to actually increase your spending. Remember, you are trying to use less than 30% of your limit. Just let that limit increase help lower your utilization ratio. This seems counter-intuitive, but it relates to the percentage of credit you are using. Suppose you have a lot of credit cards and are staying under 30% of their limits in use, but then decide to consolidate and close most of those accounts. By moving the balances over to your remaining cards, you could be left with much more than 30% of your currently available credit being used. This could actually hurt your credit score. Try and increase the credit limits on the credit cards you like before paying off and closing the accounts you no longer wish to keep. You can see good gains in your credit score by cleaning up any mistakes in your credit report. Then you just need to keep exercising good fiscal fitness by making on-time payments and not using too much of your credit. Have you found mistakes in your credit report? 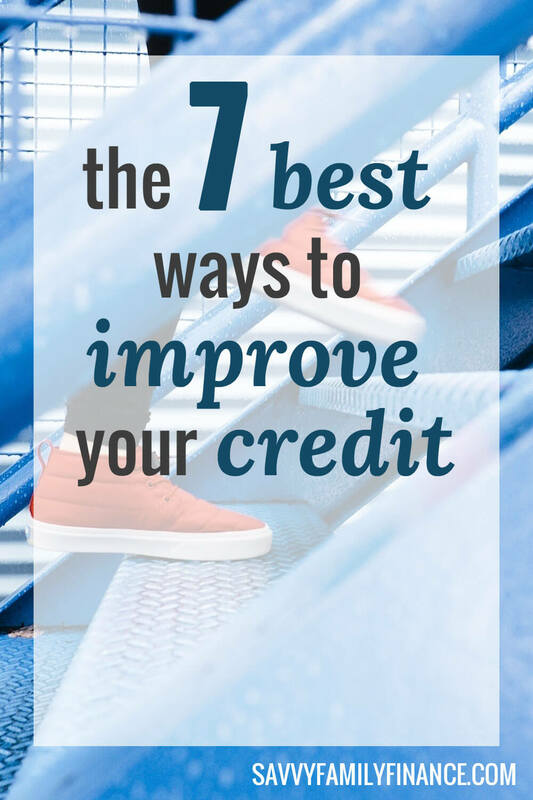 What are the best ways to improve your credit that you’ve found?